Switchboard in the PBMX Room 106. The first of several recordings made in the Kelvedon Hatch Secret Nuclear Bunker. Many thanks to Mike and his team for letting us explore and record this fantastic space. 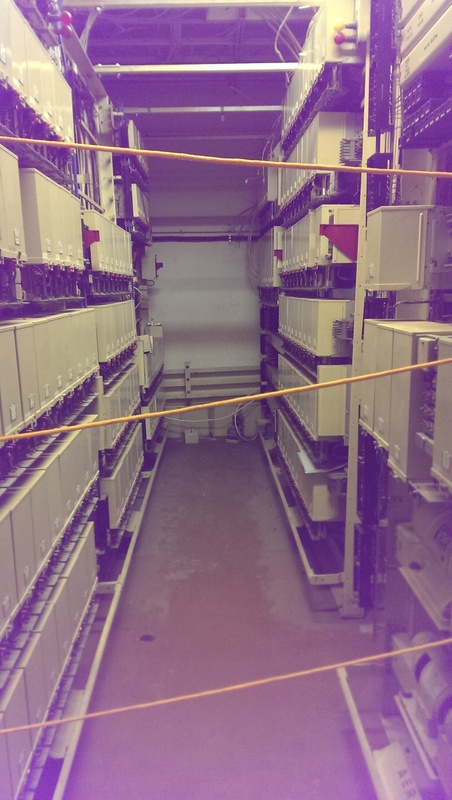 This recording is made in the PBMX Switchboard, Room 106 and features the regular PA system announcements that are present in most places within the bunker. You can also hear the sound (a recording of) of the switchboard relays in this room, of which there are many.